Buckingham's secondary web lanyard with a patent pending, easy adjusting, Buck WebGrab. This lanyard has all the benefits of a web, combined with the easy adjustment of a rope. 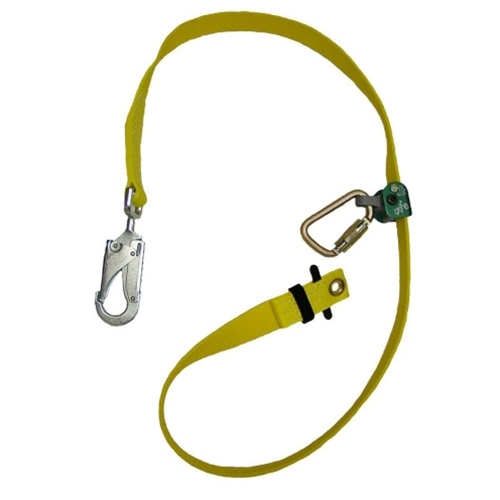 A secondary lanyard is designed for use when climbing over obstructions. Special Order, Non-Returnable, Non-Cancelable - This item is specially ordered from the factory and unfortunately cannot be returned or canceled after the order is placed.